Individuals can sustain eye injuries when playing sports, working, or relaxing at home. The most common injuries, such as a deep scratch or cut on the eye’s cornea could require immediate surgery or treatment to prevent permanent eye damage. However, minor surface scratches may only require simple monitoring after first visiting an eye specialist to ensure that complications such as infections do not occur. People should always seek medical attention whenever they experience pain, redness, or swelling in their eyes. Lack of proper treatment can lead to eye damage, which can cause partial or total loss of vision. Residents of Houston who suffer an eye injury should seek out the best eye specialist Houston has to offer. Eye emergencies cover a wide range of conditions and incidents, each with their own specific symptoms. Some of the most common symptoms of an eye injury include a loss of vision, pain, stinging or burning, double vision, decreased vision, light sensitivity, irritation, redness, bleeding, itching, headache, discharge from the eye, and many more. The most common eye injuries involve the clear, protective covering at the front of the eye called the cornea. The cornea is important for protecting the eye and for vision. Contact with metal particles, sand, wood shavings, dirt, dust, or even a poke in the eye can cut or scratch the cornea. In most cases, the scratch is relatively minor, and this is known as a corneal abrasion. However, a corneal abrasion may become infected, resulting in an ulcer, which is a serious problem. A corneal abrasion also causes significant discomfort and pain. It is important to understand that some symptoms do not happen immediately; thus, it is often difficult to determine what caused the injury. Only an eye specialist should remove anything that is on the cornea. An eye doctor will inspect the eye using a special eye stain and viewing instrument to better see the surface of the eye, which will enable him/her to safely remove any foreign matter. The doctor may also recommend antibiotic eye drops or ointments to prevent an infection. Sometimes, the doctor may temporarily cover the injured eye and prescribe pain medication. Most people recover from corneal abrasions without permanent eye damage. 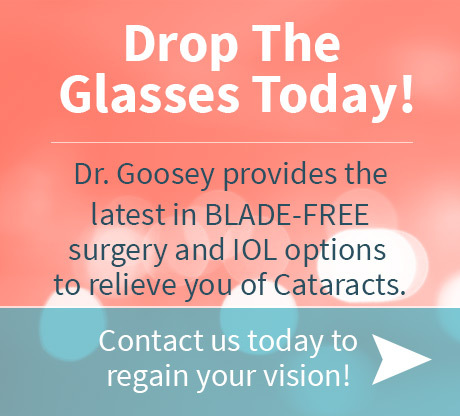 However, lack of proper treatment can cause complications that can lead to long–term vision problems. 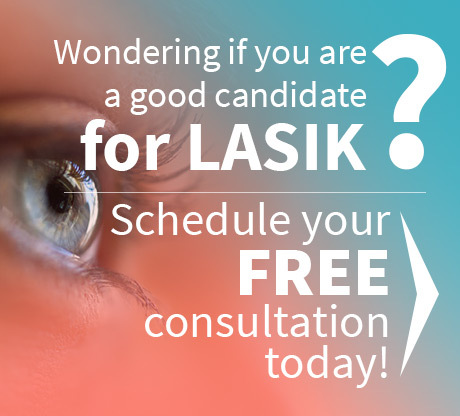 Therefore, it is important to choose the best eye specialist Houston has to offer. Dr. Goosey’s office is a place to consider as they have a wide range of knowledge and have a caring staff to tend to your needs. Schedule an appointment today.